It’s that time again… Halloween inspired mani’s everywhere! I love it 😀 I kept mine simple. Vampire by piCture pOlish is a perfect vampy shade for Halloween. The formula is perfect. I used three thin coats here with no top coat. This polish is extremely shiny by itself! For my accent nail I chose Don’t Pretzel My Buttons by OPI as my base color. I made the ‘dripped blood’ with Vampire: What’s your favorite design and polish for Halloween? 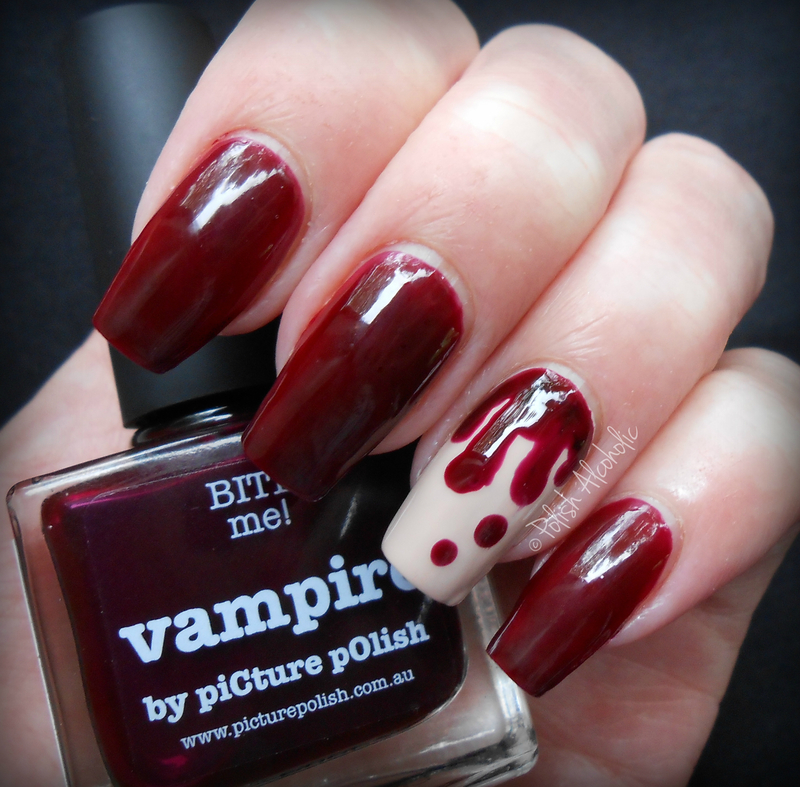 This entry was posted in Nail Art, piCture pOlish and tagged dripped blood, halloween, nail art, nails, picture polish, vampire, vampy by Polish Alcoholic. Bookmark the permalink. Ps. : Love your profile picture! Beauty! Wat leuk gedaan! Vampire is hier ook echt de meest geschikte kleur voor. Happy Halloween to you too hon!